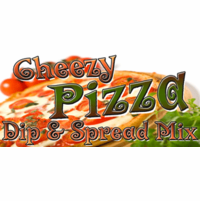 Cheese Pizza Dip Mix & Spread Mix by All Miced Up, Ltd. 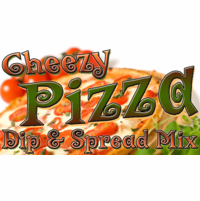 Description: Cheese, sweet tomato, garlic, and oregano, with a little beer powder to mimic the yeasty flavor of pizza crust, all packed into a mouthwatering savory dip or spread. Serve hot or cold. It's also great sprinkled onto popcorn, French fries, potato chips, chicken tenders, and other fried breaded foods. Features: No added MSG. Vegetarian. Made from scratch, in small batches, from our own original recipe in Ohio. Abbreviated Ingredients: Cheese powder, tomato, garlic, onion, beer powder, herbs, silicon dioxide. Contains milk & gluten. Packaged in a facility that packages wheat, milk, soy, egg, peanuts, and tree nuts.